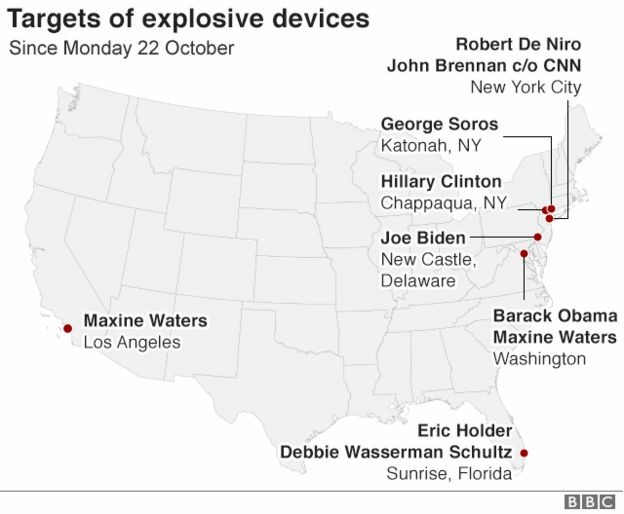 A number of suspected explosive devices addressed to critics of President Donald Trump have been intercepted by the authorities in the US. 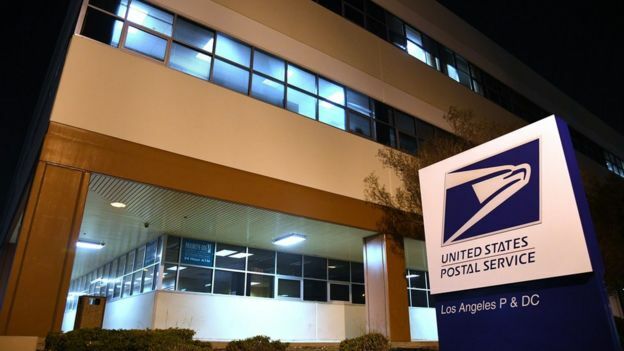 From New York to Los Angeles, and from Washington to Florida, the devices were reportedly crudely made and sent in similar envelopes. 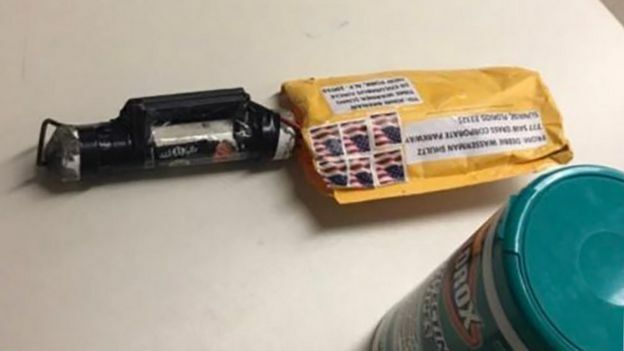 None of the packages exploded and the FBI has launched an investigation. Police said the package contained explosive powder and “had the components” of a bomb. 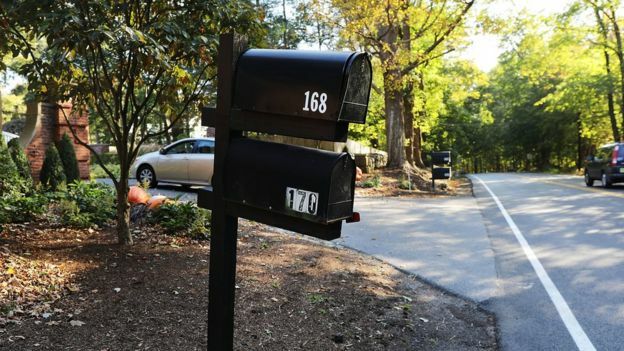 It was reportedly found during a routine screening of mail sent to the home she shares with her husband – former President Bill Clinton – in Chappaqua, New York. “[The] packages were intercepted prior to being delivered to their intended location,” a statement from the Secret Service said of both incidents. “The protectees did not receive the packages nor were they at risk of receiving them,” it added. 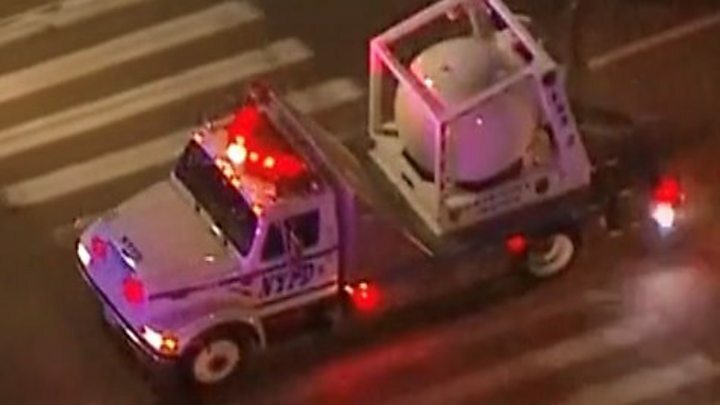 The next development occurred when CNN’s New York office was evacuated on Wednesday morning after a suspected bomb was sent to their mailroom. Police say they found an “envelope containing white powder” in the packaging of the device and this is also being investigated. The Florida congresswoman said she was “deeply disturbed” by the way her name was used. The devices are suspected to be pipe bombs. The one sent to CNN – of which there are pictures – is wrapped in black tape and was about 6in (15 cm) long. FBI Special Agent Bryan Paarman told reporters that the device appeared to be live. 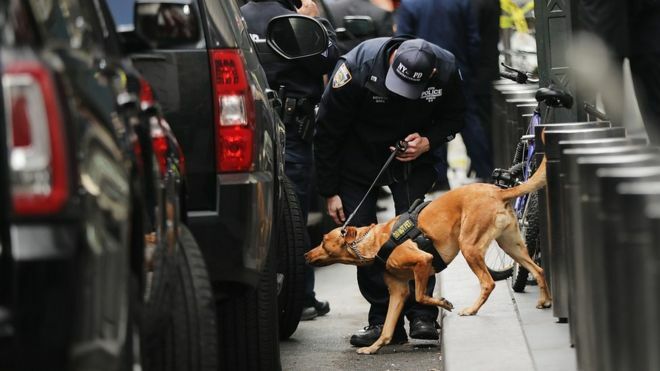 Officials have not said whether the packages contain real bombs and investigators are working to establish whether they were capable of detonating. Conservatives claim Democrats, including those who were targeted in the bomb scare, have encouraged “angry mob” behaviour. Mr Trump has called on the media “to stop the endless hostility” following the incidents. CNN Worldwide President Jeff Zucker was one such voice. 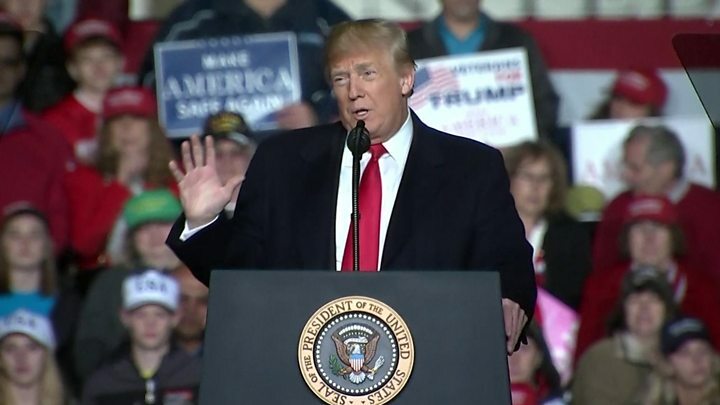 “There is a total and complete lack of understanding at the White House about the seriousness of their continued attacks on the media,” he said on Wednesday. She added that “certainly the media has a role to play in this process” adding that “90% of the coverage of this president is negative despite the historic successes”. Some of Mr Trump’s supporters have also said they believe the packages are part of a Democratic plot to win votes in the mid-terms, but there is no evidence for this.